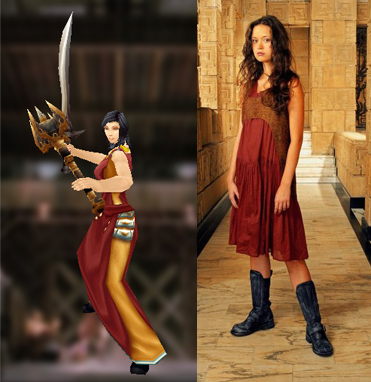 I think aside from Kaylee, this is my favorite out of all the roleplay sets I made for Firefly. It was kind of difficult translating a bunch of sci-fi characters into a fantasy game, but this one turned out really well. I only wish there was single-barreled gun model that wasn't a massive rifle. This is going to be my official last post here for a long, long time. 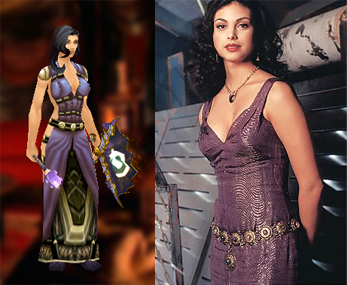 I have no time or money for WoW at the moment and I hugely lost inspiration to keep coming up with transmog sets. It was fun while it lasted! I will still be able to reply to comments and in the unlikely even anyone has a set they would like to submit, I would be more than happy to post it, but I will not be creating anything of my own for the time being. 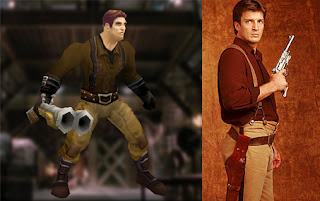 Before I go, I'm just going to put this out there... if anyone manages to pull together a group of roleplayers dressed up in Firefly gear, I would LOVE to see it! PLEASE send me a screenshot! 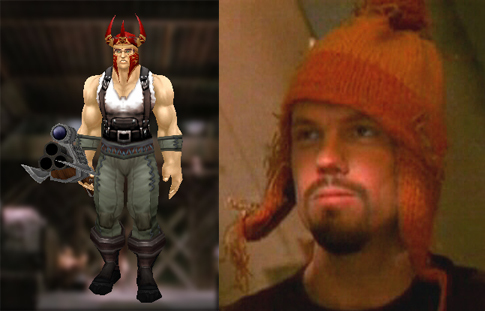 Simon was the most difficult character from Firefly to transmog, though I thought he'd be the easiest. For his weapon, I chose a sword since it seemed to be the only weapon fit for a man from high society, but it is completely optional. I'll admit the belt doesn't really go with the rest of the set, but I absolutely could not resist using it because of its name! It'd be very easy to find an alternative on the auction house, I'm sure. As with all of the other Firefly sets, the one pictured is meant for roleplay but if you want to use it for transmogging the list of items includes everything you will need. 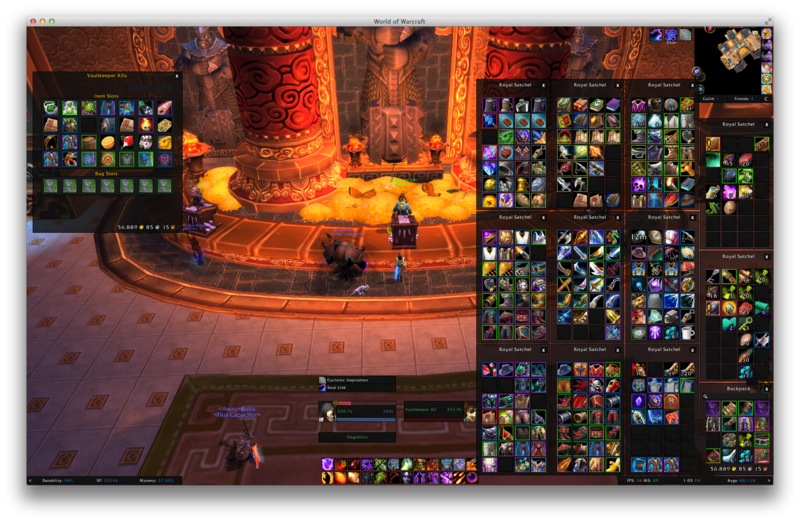 Check out the Wowhead link under the picture to see how it looks. Check back soon for the next Firefly crew member! I really, really, really, really, really wish we could hide more items than just back and head pieces. Ugh! Sometimes things like gloves and shoulders just completely ruin a set, which is why this one looks so much better as a roleplay set than a transmog set. Oh well. 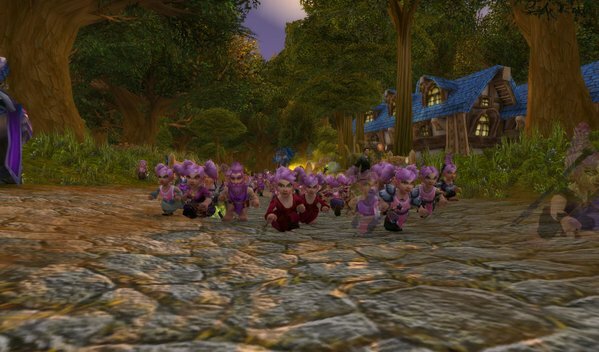 There are a number of different options for the Missionary's Leggings for Horde under the Same Model As tab on Wowhead. They are Alliance only, but I had no choice... the name was perfect! As with the other Firely sets, the list has all the items needed for a full transmog set and you can click on the link under the picture to view it. Check back next week for another cast member from Firefly! This set reeeeally made me wish it was possible for some robe models to be knee length. The boots were perfect for River, but you can't even see them! Too bad. 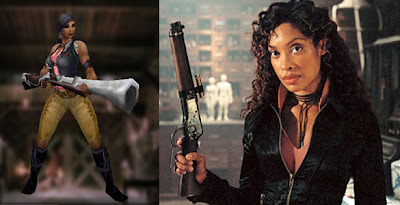 I know the off-hand item looks more like a mace than an axe (as River is seen weilding in some of the Serenity promo pictures) but again... a little imagination is needed. It is an off-hand item and not an actual mace, so clothies can still transmog this set. Woohoo! The sword is Alliance-only but I'm sure there is a suitable substitution out there for Horde characters. There are many swords that look similar to the one seen in the promo picture so I won't bother listing them here, but this one had a hint of red on the hilt that I thought went well with the robe. He robbed from the rich and he gave to the poor, he stood up to the man and he gave him what for! Our love for him now ain't hard to explain. The hero of Canton the man they call Jayne! Again, a little imagination is required for this set since the hat isn't quite right and neither is the gun. 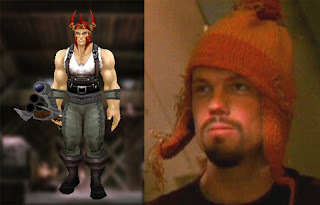 Had everyone's favorite gun-for-hire been born in Azeroth, don't you think Ma Cobb would have fashioned a silly spiked leather hat instead of a silly knitted one? I posted Wash last time, so it's only fitting that the next one is Zoe. As with the other sets in the Firefly series, the one pictured is without a few items but the list and the Wowhead link have all the pieces if you wish to transmog the full set. 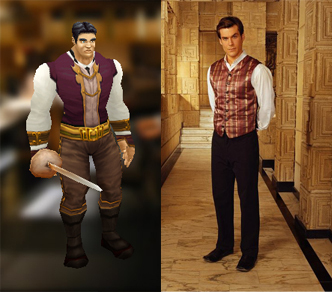 Certain items like the shoulders just don't suit these roleplay sets since none of the characters wore shoulder armor. But anyway... You have no idea how damn happy I was when I saw that shotgun in MogIt when I was making this set. It even has the right colours! Best day ever. Little known fact: I always try to pick items that have matching names as well as colours. It's the small things that make me happy. It's Wash! This guy is easily one of my favorite characters from Firefly! This set requires a little bit of imagination... I struggled to find suitable main- and off-hand items for Wash since he doesn't really wield anything in the TV show or the movie. Then I saw this mace and off-hand and my mind went immediately to the pilot episode where Wash is playing with his toy dinosaurs. 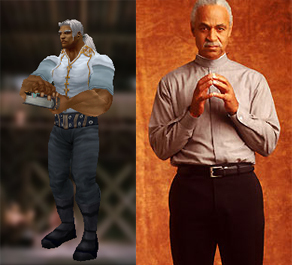 I really hope I'm not the only one that can make the connection, hah. Let me know what you think? 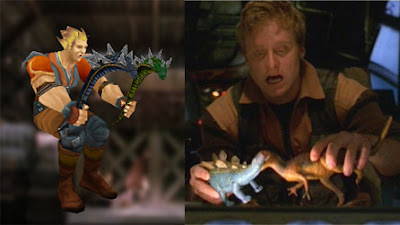 Check back soon for another transmog set inspired by a character from Firefly!